The famous Kalka-Shimla railway line ran parallel to the road, for an ample duration of our bus journey to Kalka Railway Station. Toy train journeys have always fascinated me. The Kalka-Shimla narrow gauge railway service has existed since 1903. It was only in 2010 that the 105-year old steam engine was replaced by a diesel locomotive. Having rediscovered the quaint ring of childhood during the scenic and wonderfully slow-paced Matheran Railway trip, I could only imagine the joys of journeying on the Kalka-Shimla-Kalka toy train. Kalka is a sleepy railway station, just the kind of place to laze away to boredom and an afternoon nap. The train to Delhi was to arrive in another three hours. The luggage was deposited in the waiting room. We refreshed ourselves and some people stayed back to guard the luggage, while the rest proceeded for lunch. The Kalka railway station canteen was an old-time eatery with bearable, edible food. I broke my "only-veg" vow again to order chicken curry. It was a disastrous decision. The chicken tasted like it had been dug up from its coffin, drowned in brown liquid and served. The canteen manager only looked more bored when I complained. He had the quiet conviction of a man who knew that nothing was going to happen. So I posted a picture of the dish with the Indian Railways "handle" on Twitter, along with a written complaint. Yes, they never responded. Post lunch, I strolled down the deserted station, gazing at a passing train or two, just to while the hour away. 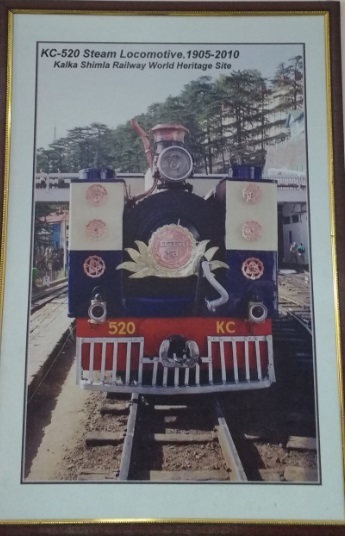 The Kalka-Shimla toy train was ready to depart from a platform and despite the unattractive color combination and drab look, it was worth a glance. At the time of writing this blog post, there is news of reassigning steam engines to all operational heritage trains across India. Now that would be something. Hopefully, the trains will be tastefully redesigned and repainted in brighter colors. The Kalka-Delhi train journey was largely uneventful. We arrived at Delhi the same evening and ambled to our hotel room in a single line. Many of the group members would be departing Delhi by flight, a dozen of us would be on the train to Pune the next day. My first Himalayan trekking expedition was done. 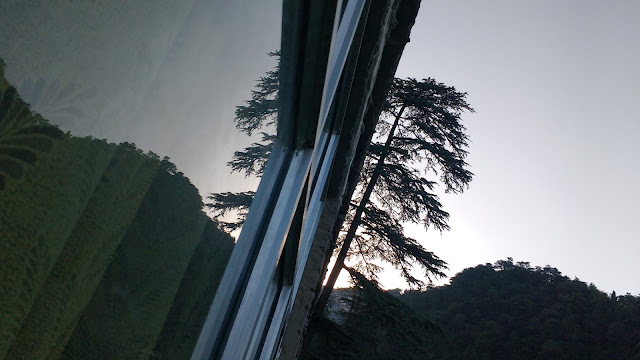 It had been one rollercoaster ride in continuous slow motion.That I had walked over the Himalayas and was now returning home, was a growing, pleasant feeling that was finally sinking in.